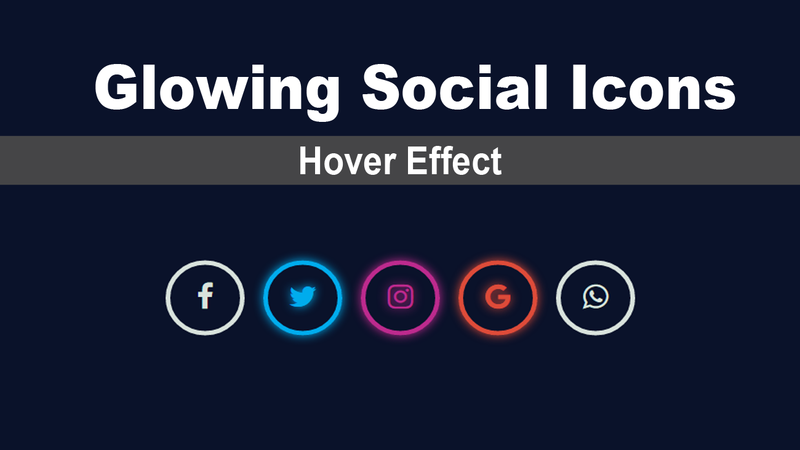 You might have seen many different kinds of social icon hover effects, But In this article, I’m going to show you, how to create the Glowing social icons hover effect. For achieving this effect I’m going to use the CSS3 box-shadow and text-shadow properties. A small snippet about CSS3 Box-shadow and Text-shadow properties. By using box-shadow property, we can create the shadow effect around the div elements. By using text-shadow property, we can create the shadow effect around the text. In this Demo, I’m going to use only blur value because by using only blur value we can create the shadow effect around the div and text. For social icons, I’m going to use the font-awesome icons. and for accessing the font-awesome icons, we must include the CDN link in our head section. 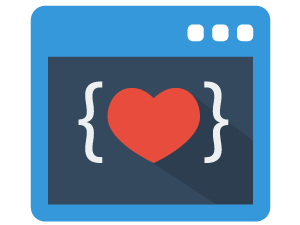 Consider a div element with class:wrapper and inside that div element, consider the unordered list with five list items with different classes inside it. and place the required social icons inside the list items. and for increasing the size of the font-awesome icons, use one of the default font-awesome class .fa-2x. Style the unordered list by setting its list-style value to none. Style the list items inside the UL list, by setting its width, height and line-height values to 75px and float them to left and set its border and border-radius values. Style the icons by setting its color and margin-top value to 20px to align it properly. Now target the specific li classes for styling and by using box-shadow effect to border and text-shadow effect to icons we can achieve the glowing effect and use transition property for smooth transition effect. check out the below demo.